You might have seen Deva Mahal at Carnegie Hall paying tribute to Led Zeppelin or Aretha Franklin in recent years, but now, she's going to take the stage in that storied building for a show of her own. 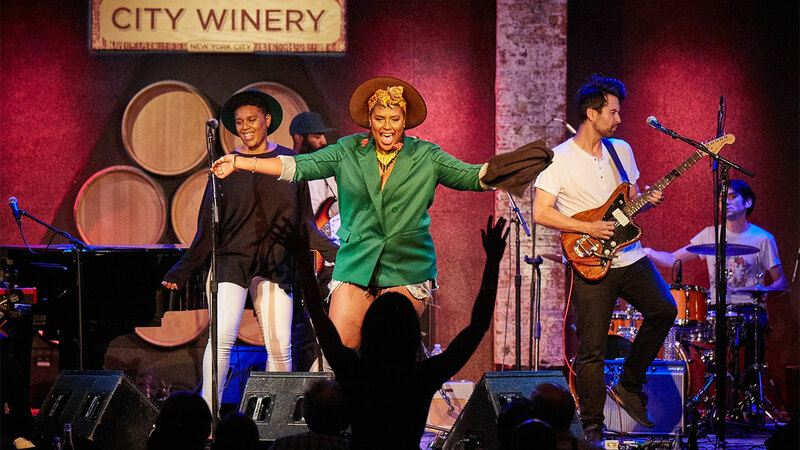 On April 13, Mahal performs in WFUV's concert series at Zankel Hall, and — get this — she'll be joined by the Resistance Revival Chorus and special guest and Music Director, Meshell Ndegeocello. So tonight on "The Whole Wide World," treat your ears to a show that Deva Mahal and her band performed for us at City Winery last year, featuring songs from her debut album, Run Deep. My show starts at 6 p.m., Deva's performance will be on around 8, and of course, you can also listen to her FUV Live set anytime in our online Vault. Then, I hope you'll join us at Zankel Hall—Carnegie Hall's beautiful downstairs listening room—Saturday night, April 13.